Why don’t books come with a digital version? I’m reading a book. It’s a wonderful book: Salman Rushdie’s memoir ‘Joseph Anton.’ And the thing itself is beautiful: well-printed and bound with a vellum-feel to the cover underneath the dust-jacket. Just look at it. It’s just the sort of book you’d want to own, to cherish and to keep for the rest of your life. But it’s not the sort of book you’d want to lug about in your bag where it would weigh you down and get damaged. Now I also have an iphone and iPad so I paid another £10 (the hardback was discounted to £14) for the kindle version and over the last couple of weeks I’ve been able to whizz through a few pages when I eat my sandwich or I’ve been stuck somewhere waiting, or travelling by train. The kindle apps and the notes and highlights I make sync with each other so that I can whip out either device and pick up where I left off. Then when I’ve had the time at home, I can find my place in the hardback (which unfathomably doesn’t sync itself), and sit down to enjoy reading the same words in a beautifully-produced, old-fashioned, paper, card and cloth artefact. The point is: I want to own physical copies of books, particularly if they’re well-made and well-bound. But I don’t have much spare time and like the convenience of e-books. I don’t understand why paper copies of books don’t come with access to the digital versions. You’ve paid for the right to own a copy of the text after all. Producers of vinyl records long ago recognised this and most now routinely offer a download code or a CD with the vinyl version. A few years ago I was only buying three or four new vinyl records a year because I didn’t have enough time to listen to them properly. Now I buy about 30. I get to know new songs in the car or in my earphones and, when I’m able, I can enjoy the rituals of keeping and cleaning records, listen to the new songs I now know well in proper hi-fi, admire artwork and read liner notes. 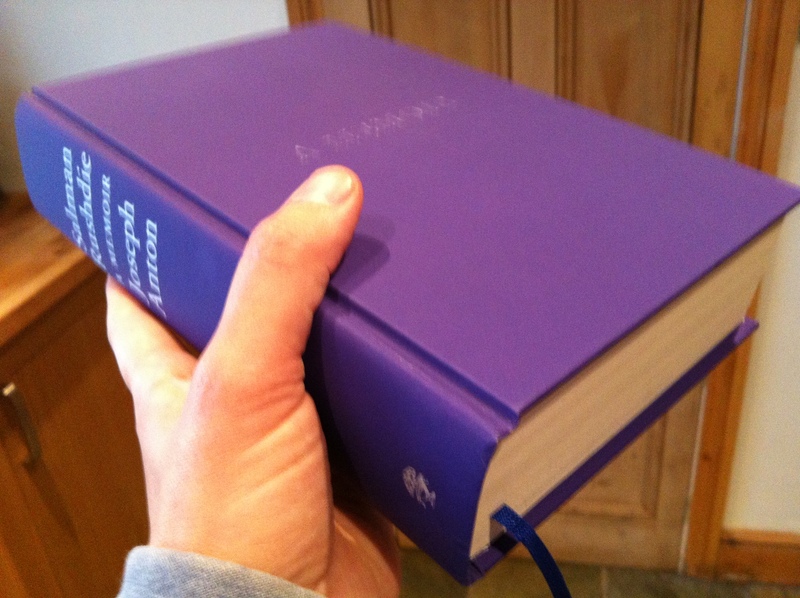 New hardback books cost about the same as new vinyl records – around £20. Can anybody explain to me why publishers can’t – or won’t – offer readers a digital version as part of that same price? Good point. It would hardly cost the publishers anything, either. I think it is the publishers’ general lack of digital understanding that drives their business models. YES! I’ve been blathering on about this for ages. I LIKE real books but I’m slowly being converted to digital because of the ease and practicality of them. I’d love for “proper” books to come with a digital counterpart without having to shell out for the same book twice. Same goes for magazines. I would have thought it would appeal to publishers. The sale of vinyl records has rocketed since labels started including a CD or a download code. It probably costs them nothing and would directly increase sales. I won’t hold my breath though.